Warmer weather means not only saying goodbye to the tough winter conditions your car or truck has endured, but also getting your vehicles — and outdoor power equipment — ready for the changing seasons. This is a great opportunity to get outside and tend to the vital cleaning and maintenance that the machines you rely on need to function well year-round. 1. Clean it. Whether we’re talking about your car, truck or outdoor power equipment, like your lawnmower, it could use a thorough cleaning if it endured winter elements or was stuck in your garage. For your vehicles, this means a complete wash, and making sure to thoroughly clean out the accumulated road salt from your undercarriage and the entire outer surface of your vehicles, plus the interior. 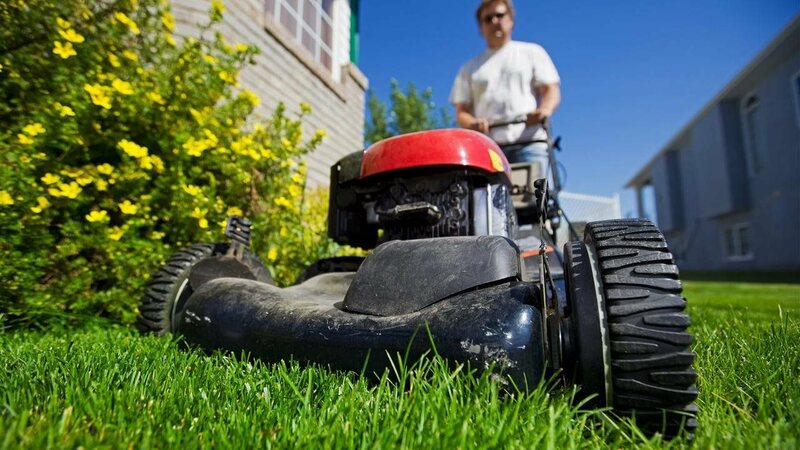 If you ran out of time last fall and did not properly store your lawnmower or other outdoor power equipment, you're going to have to take extra care getting your equipment out of storage for the first time this year. Clean the dirt, grass or other debris from your machinery before the first use. While cleaning, check for damage or needed repairs that can range from wear on the cord to tightening up nuts or getting the blades sharpened. It’s easier to assess the condition of any vehicle or piece of outdoor power equipment once you’ve gotten the basic cleaning finished. To clean the insides of any gasoline engines, including vehicles and outdoor power equipment, use STA-BIL 360 Protection at each fill-up to help keep fuel fresh for up to 12 months and to increase your engine’s power and fuel efficiency. STA-BIL 360 Protection prevents corrosion caused by moisture and today’s ethanol blended fuels. 2. Maintain it. Every vehicle and piece of outdoor power equipment you own needs regular maintenance to keep it running smoothly and to prevent problems down the road. Vehicles require regular maintenance, including oil changes, tire rotations and checking all your fluids — from coolant and power steering to transmission and brake fluid. Test your wiper blades and replace them if winter usage has worn them out. Finally, to reduce the chance of being stuck on the roadside, examine your tires to make sure they not only have enough air, but also have the appropriate amount of tread left. As for your lawnmower, it requires much of the same maintenance that your car does, although most forget it until it’s too late. First, review the basics. Start by making sure your oil is full and has been changed recently. Check your air filter, because it may have become clogged with leaves from fall’s final mowing. Examine the spark plug, which needs to be changed from time to time. While the spark plug is still disconnected, be sure to look at your blade, because a sharp blade not only cuts better but helps promote a healthy lawn by cutting the grass properly and not tearing it. Lastly, there are few additional things to be aware of if your mower has them — items like drive belts, on both riding mowers and self-propelled mowers, and fuel filters on some models — that can experience wear and may need to be changed. 3. Protect it. UV protection is not just for your skin. While one third of respondents in a recent survey believed that vehicles did not experience UV damage, the sun's rays can in fact damage any of your vehicle's rubber, vinyl or plastic surfaces. The truth is, protecting surfaces like your vehicle's dashboard from sun damage on a regular basis can result in a better-looking, longer-lasting vehicle. This is even more crucial for convertibles and jeeps. 303 Automotive Protectant keeps surfaces appearing newer and prevents cracking and fading. The majority (52 percent) of people surveyed said they waxed or detailed their vehicle only twice per year, while about 29 percent said they waxed their car monthly. Surprisingly, residents of the Midwest — where extreme weather and road salt can really take its toll on vehicles — are noticeably less likely than people in other regions to detail or wax their cars, with nearly one third of people claiming to do it less than once a year or never. This may be due to the time it takes to get your vehicle waxed. But now there's an easier solution — 303 Touchless Sealant lasts up to two times longer than traditional wax, and you simply spray it on and rinse for superior water beading and protection against paint fading in minutes. Spring is all about gearing up for outdoor activities with friends and family. Take a little time to prep your vehicles and outdoor power equipment before warmer weather arrives, and you’ll have a worry-free spring and summer doing all the things you enjoy.